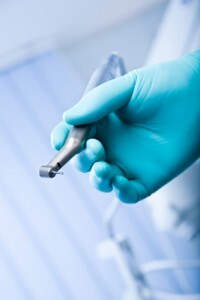 What If My Dentist Infected Me With HIV, Hepatitis B or Hepatitis C? If testing shows you have been infected with HIV, hepatitis B or hepatitis C, contact Carr & Carr Attorneys to discuss your options. Local media has reported that approximately 7,000 patients of a Tulsa dentist may have been exposed to hepatitis B, hepatitis C and HIV. If you have been a patient of Tulsa oral surgeon Dr. Scott Harrington, and you are concerned about the possibility of being infected with HIV, Hepatitis B or Hepatitis C, you should contact your physician or the Tulsa Health Department to discuss your concerns. The health department is notifying patients of Dr. W. Scott Harrington about potential exposure to blood-borne viruses. The Tulsa Health Department is setting up free testing clinics starting Saturday morning, March 30, at the North Regional Health and Wellness Center, 5635 N. Martin Luther King Boulevard. Testing services will be provided on a walk-in basis from 10 a.m. to 2 p.m. and on Monday, April 1 from 8 a.m. to 6 p.m.
Additionally, a health department hotline is set up at (918) 595-4500 for people with questions about this issue or hepatitis B, hepatitis C or HIV. Patients who had procedures at Dr. W. Scott Harrington’s dental practice should receive letters in the mail from the health department. The notification includes patients who have visited Dr. Harrington since 2007. If you were a patient prior to 2007, you should talk to your physician or the health department to discuss your next steps. 12806 E. 86th Place N. in Owasso. If you are tested and it is confirmed that you have HIV, hepatitis B or hepatitis C, contact Carr & Carr Attorneys for a free consultation. A medical malpractice attorney can assist you in determining your next steps, and can help protect your rights. Also, remember time limits called “statute of limitations” are in effect for filing law suits. You must file a lawsuit before the applicable time limit expires. The time limit and other regulations are very important, so talk with the lawyers at Carr & Carr as soon as possible to learn what options you have.